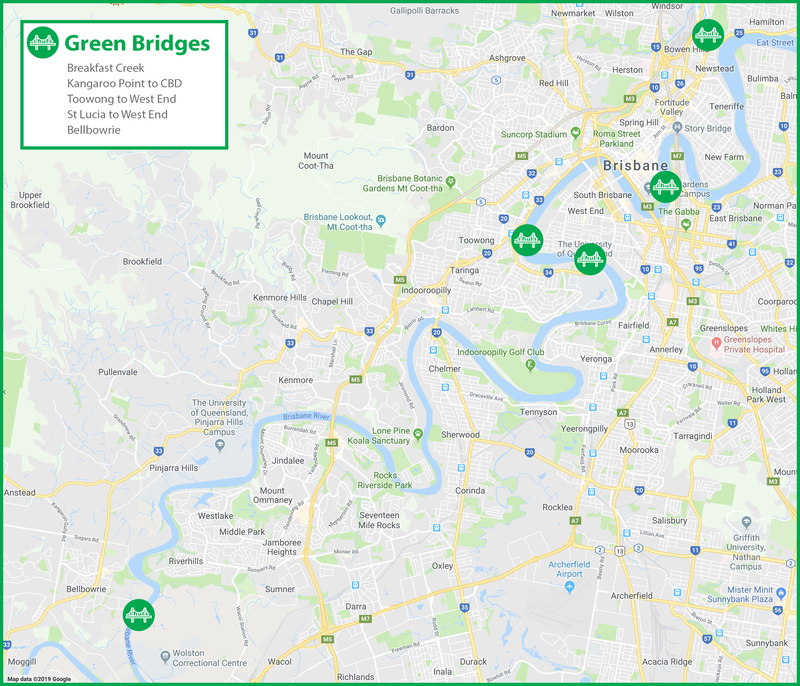 Brisbane City Council's new Lord Mayor has announced plans for five new green bridges in the city. Brisbane's new Lord Mayor Adrian Schrinner has wasted no time outlining his vision for the city, announcing a plan for five new green bridges to be built at a cost of $550 million. Cr Schrinner, who will become Brisbane’s 17th Lord Mayor when he is officially appointed at a special Council meeting next Monday, 8 April, said his Lord Mayoralty would be driven by a focus on building the critical infrastructure our city needs and protecting our unique lifestyle and green space. “I’m also going to be a Lord Mayor who champions extra parks for Brisbane, and works to increase our green space," he said. "I plan to spearhead the biggest investment in parks and green space our city has ever seen. 1. Kangaroo Point Green Bridge - Pedestrian/cycle bridge. Council is currently undertaking a business case. 2. Toowong to West End Green Bridge – Potential pedestrian/cycle/public transport bridge. 4. Breakfast Creek Green Bridge – Pedestrian/cycle bridge connecting Kingsford Smith Drive Riverwalk into the existing Riverwalk network. 5. Bellbowrie Green Bridge – potential pedestrian/cycle/public transport bridge,with emergency access.